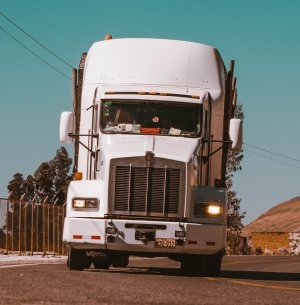 A car, semi-trailer or truck is one of the biggest financial investments that the average person makes in their lifetime, yet too many people are happy to get the vehicle and then do as little as possible to protect that investment. While some folks follow the most sporadic of maintenance schedules, even more to nothing about rust protection and prevention. Paying attention to maintenance and protection means potentially a much longer life for your car, semi-trailer or truck, which also means getting more bang for your buck. Rust in particular is a major issue, as it can take a great looking vehicle and turn it into an unsightly mess over a relatively short period of time. When left untreated, corrosion can go from being a small, almost invisible little mark in your paintwork to a gaping hole that cannot be repaired. What makes this all the more frustrating is that rust protection and prevention need not be an expensive exercise, as there are affordable products out there, Rust Bullet being one of them, that can help add a layer of protection for your car, semi-trailer or truck, whilst also preventing the spread of any existing issues. 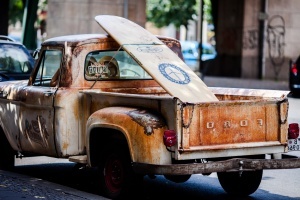 Just because rust may not be visible doesn’t mean that it isn’t hiding somewhere on your vehicle. Rust generally begins with a nick or scratch in your exterior paint, and those little blemishes sometimes start in the less obvious areas of the vehicle. The wheel wells and bumper bars are closest to the tyres, which are responsible for spitting out stones and other road debris that can wreak havoc on your paint job. You need to get up close and personal with those areas to see if there are any marks that need your attention, although you should not stop your inspection in those areas alone. A product like Rust Bullet, which is the rust prevention and protection of choice for the U.S. Navy, can help you protect the integrity of your vehicle in a couple of different ways. The first method is for those of you with a new car, semi-trailer or truck that are currently unblemished. Adding a layer of protection is a great way to prevent those potential scratches from arriving in the first place. The second method is to apply the product to the affected areas, so that the rust does not get the opportunity to spread and worsen. When that spread begins, the serious, costly damage really starts to take place. As we mentioned earlier, effective rust protection and prevention for your car, semi-trailer or truck is not something that is going to cost you a lot of money. What you will get in return is a magnificent return on your investment, as keeping corrosion out of the equation can add years to the life of your vehicle, and also cut down on costly repairs and maintenance that you will be forced to submit to if rust is allowed to grow and spread on your vehicle.